Hey, we’re going to Napa for the weekend! Ok, where are you really going? 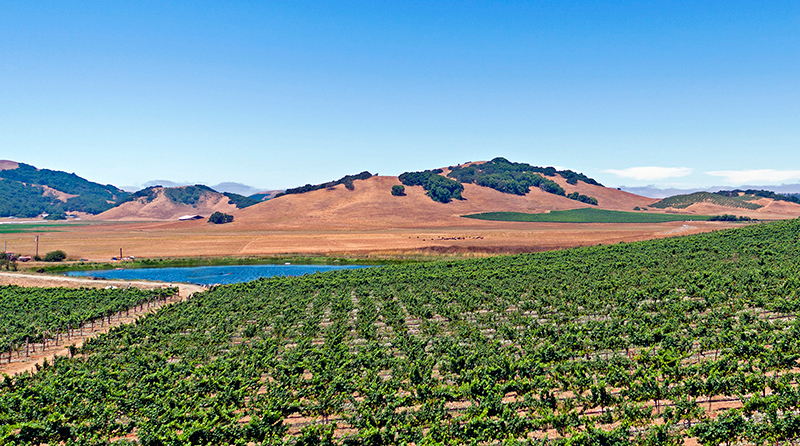 Wine country; a vision of rolling hills dotted with vineyards, oak trees, hidden valleys and mountain top vistas. Throughout the world the idea of wine country conjures up beautiful landscapes that fill the mind with any number of spectacular scenes. Simply put wine country is beautiful! Lucky for us our own backyard provides the perfect example and often exceeds the stereotype. I can’t tell you how many times I’ve heard friends say that they are heading up to “Napa” for the weekend when they very well know that they are going to Healdsburg in northern Sonoma County. (Spoiler Alert – the Napa County line is a good 30 minute drive from the town of Healdsburg.) First off I have to say, good job Napa, you’ve co-opted all of wine country. Well played! But really, there’s no hard feelings big shot. The Napa “brand” has laid the groundwork for success throughout all of California’s various wonderful wine country regions. But there is another dilemma, when you’re confronted with a myriad of wine labels from all over… what to do? For instance, once again you’ve found yourself wandering the wine aisle at your favorite local market. Drawn in like a magnet. It’s ok, we’re familiar with the scenario… you’re not alone. You notice an array of wines trying to figure out what is where, quickly things can get convoluted and it is often easy to go with the most popular regions. But hey, if you found yourself on this web site, you’ve already proven to be more adventurous than most. It may appear daunting but knowing the provenance of a wine can prove interesting and fun! When looking at a wine label, the location can run the gamut from extremely general like “California Merlot” to complete geek out detail “Row 4, Block E of Aunt Mabel’s Vineyard Pinot Noir in the Green Valley AVA of Sonoma County”. The qualifiers can contain anything from only the state to the county, AVA (American Viticultural Area), block and even row numbers. Long story short, where the heck are these places anyway? You’ve heard of towns like Sonoma and Healdsburg. 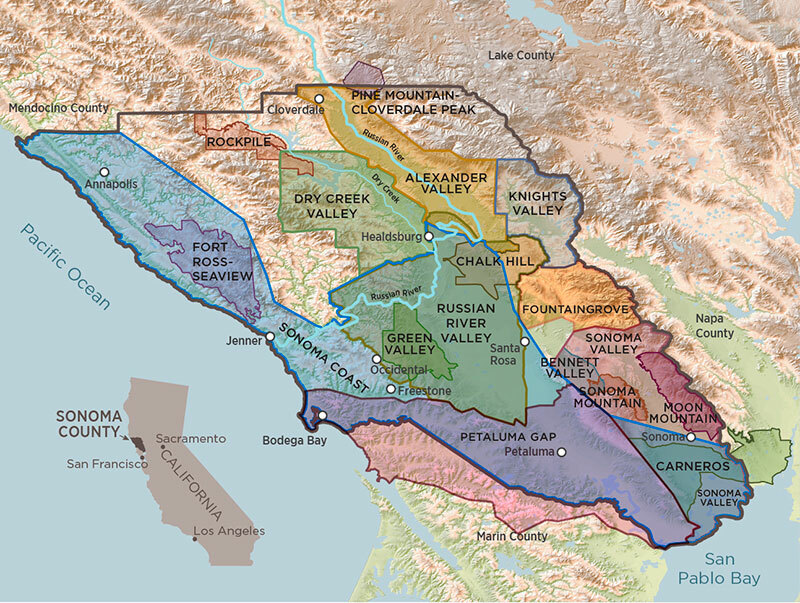 You might know about some of the Appellations (aka AVA – American Viticulturual Areas) like Alexander Valley or the newly anointed Petaluma Gap. But for a moment lets quickly try and tie some of these regions together. It may come in hand they next time you drift into the wine aisle or overhear a friend say that they are going to “Napa”. With that in mind we’re going to focus on Sonoma County. Now the next time someone says they are going to wine country you can confidently ask them, where are you really going?